The holiday season is upon us again. Advertisers have released their festive adverts and stores have dusted off their Christmas displays from last year. Most importantly, shopping centres have moved their latest and greatest devices to the front of the store. There may still be work to do, however, before we can invite round family a little maintenance, updates and set-up goes a long way to ensure the holiday season goes without a hitch. Sadly, not every device is ready to run straight out the box. Not every device even comes ready to interact with others when it’s first opened. Each new gadget comes with its own setup and new things to learn. Often today, devices, toys and computers require extensive updates before they are ready to function. This commonly means large downloads and lengthy installation periods. In previous years devices have been purchased for Christmas, only to be rendered useless waiting for updates while large numbers of requests crash the company servers. This can be highly frustrating and put a real dampener on the holiday spirit. 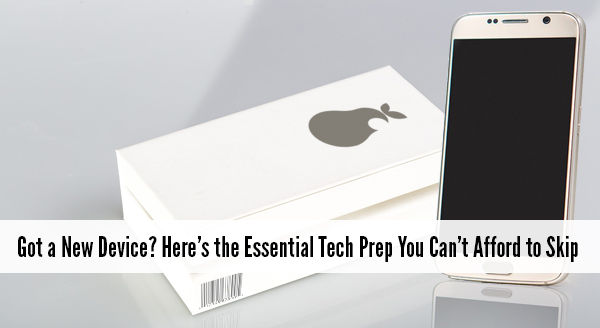 In the modern day simply purchasing a gadget doesn’t make it ready to use. Often they still need setup, updates, and extra steps to make it safe to access the internet too. Bring your device to us and we can have it safe and ready to use the second you unbox it. We’ll perform initial setup, get it ready for the network, and install mandatory updates. By the time we’re done, your device will be the first one ready to use. For relevant devices, we can install additional features and software too: line of business software, MS Office suite, antivirus and security features and configure applications like email. Whatever the device we can configure it to the way you want to use it. Getting a brand new device can be fun and exciting. Before getting carried away with the latest technology, we must consider what happens to our old data too. Depending on the device there are any number of dangers and pitfalls to think about. Replacing an ageing laptop or desktop computer with a brand new model has the inherent danger of what happens to the old data? These computers typically use hard drive disks to store all their data. When disposed of improperly, hard drives are vulnerable to being removed and taken. These can often be read and copied by thieves looking to steal your data. Old devices containing data need just as much care and attention as new ones fresh out the box. There are many cases where companies individuals have had important information stolen this way. In some cases the information has been used to access accounts, blackmail, industrial espionage and even identity theft. Mobile devices typically have some form of data storage too. This may store applications or media that has been bought and paid for; but also data such as records and photographs that hold a great deal of value. We can help transfer old files and data to your new device and safely dispose of your old one too. We can ensure that every photograph, video, and bit of data is recovered from your mobile device or laptop so that you never lose a single file. We can securely wipe and even physically destroy old hard drives at your request. We strive to ensure you keep every bit of your old data and not a single byte falls into the wrong hands. It sometimes happens that new technology has moved so fast and changed so much that it doesn’t play well with older devices already installed on your network. Sometimes it seems impossible to even connect certain devices at all. Often simple configuration changes are all that’s required to introduce two pieces of technology successfully. With the right set of eyes and in knowledgeable hands the most complex of jobs can be turned into a quick fix. If your goal is for a stress free, fun and relaxing Christmas season and you are in Adelaide South Australia please contact us on 08 8326 4364 or support@dpcomputing.com.au and we’ll get you up and running in time. If you enjoyed this article please subscribe to our monthly update so you don’t miss out on any future information. Should You Repair, Upgrade or Replace Your Computer? Like many things, new computers suffer from wear and tear over time. Our computers are particularly vulnerable as we have placed more and more demands on them every month. New machines are faster, quieter, more reliable and more capable over time. At the same time our own computers have begun to slow and sometimes even stop altogether. There are many ways to address the problem of a slow PC. Whether frustratingly slow or no longer working; we are happy to take a look at your system. When you bring your computer to us we will diagnose the condition and find a solution that works for you. Often times the simplest solution is the best (and cheapest!). A complex problem may only needs a simple repair to get your computer up and running like new again. Whether a small replacement part, loose wire, or bad connection; we will find and fix the problem to give your current machine a new lease of life. Many computers come to us running slowly, they take a long time to start up or are freezing when trying to load files. Often owners have reached their breaking point and become convinced that the machine is fit for only the dump. In many cases, the problem can be pinpointed to a bottleneck in the system. A single, seemingly trivial, part can be holding up the entire system and upgrading just that one component can make the whole machine run like new again. Adding memory can provide extra space for programs to run faster. Adding an updated, faster hard drive (ie a SSD drive) can allow files to be retrieved in an instant. In both cases, a low-cost single component can provide a cost-effective solution that makes an old machine like new again. Not all solutions are as simple though as your may have a fault. A failure of the motherboard (the backbone of the entire computer) may be impossible to fix. Typically, with the fast-paced and ever-changing nature of computing, a motherboard will only house computer parts that were manufactured around a similar time. A motherboard is almost certain to be incompatible with components built just a couple of years before or after its own design. Sometimes it may be possible to find a replacement board of the same generation that will work alongside existing components. This results in a cost-effective solution that keeps cost down by saving on replacement parts. In cases where a replacement motherboard is not available, other parts of the computer may have to be replaced at the same time. Often replacement costs in these cases can exceed the cost of buying a new machine. We always give advice where it makes sense financially and practically to consider replacing an old machine. Think of the equivalent thing happening with your car. Sometimes a simple, non-expensive component such as the window wiper can fail. While a wiper is crucial to driving in the rain it is silly to suggest replacing the vehicle once it has worn out. A window wiper may be low-cost and simple to replace, but if the engine was to fail the solution may not be quite as simple. Attempting to make an old car as safe and reliable as a brand new model generally doesn’t make any financial or practical sense. Sometimes the best course of action to save money and avoid breakdowns is a new vehicle. In computing, many of the same rules hold true. We always try to fine the best solution for your needs and requirements. If you are located in South Australia give us a call us at (08) 8326 4364 or via email on support@dpcomputing.com.au to discuss your computer issues. We will diagnose your machine and advise on the best course of action to get you up and running as quickly as possible. You have decided to buy a new computer for your business or perhaps even a whole set of new computers. You can almost taste the excitement as you think about those sleek new machines and how much more productive your employees will be. There is just one thing left to do: actually choose which ones you need. This is where it starts to gets tricky. Most people pop down to their local retail store and look at the display models and then get overwhelmed when the salesperson starts throwing around technical jargon. This scenario almost always ends up with your business having the wrong computer. Here’s why, and what you should do instead. Unsurprisingly, salespeople are trained to sell! They may have an interest in computers and they’re certainly great at reading the words on the box to you, but that maybe the limit of their knowledge. Their main goal is to make the sale, earn the commission and go home happy. You want a computer to suit your business needs, which isn’t particularly high on the salespersons priority list. They are not equipped to deeply understand the way your business works and nor do they have the time or desire to find out. You are also more likely to be upsold extras you don’t need but can rapidly drain your budget. There are so many moving parts to your business network, from printers to routers, laptops to desktops and a variety of software programs that anytime you throw a new computer into the mix you could end up with compatibility problems. Salespeople don’t know what your current setup is at your office but may still make recommendations based on assumptions and hopeful guesswork. Even the number and types of ports available on retail computers may cause a problem once you’re setting up. The last thing you want to do is end up with a collection of wobbly adapter plugs as you attempt to make do until it is time for a do-over. Most computers sold at retail stores only come with the home versions of the operating system and MS Office software. This then leads to another round of compatibility issues. Yes you can may be able to create workarounds but this then leads to efficiency and performance hits. It is best to skip the drama and get the right computer first time around. Your IT provider will often stick to a handful of vendors to ensure all parts are kept uniform. That way they know which parts will work together, and should something fail, they can usually get replacements quickly. 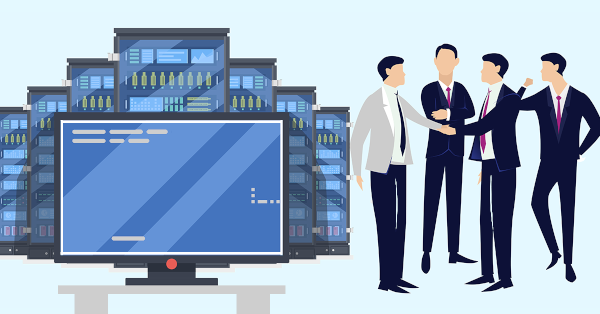 IT support providers often have special relationships with suppliers and vendors and can get special pricing, extended support and upgrades that a salesperson can’t match. Your IT budget goes further with your consultant, and not just on the day of purchase. 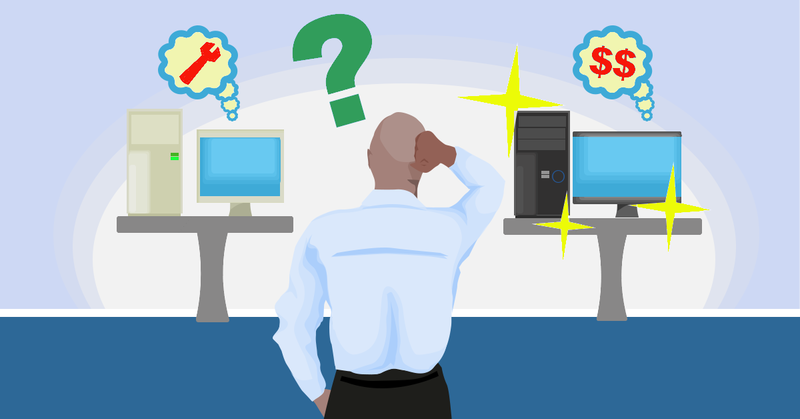 When you buy computers through your IT provider, you know you are getting the exact computer your business needs. They know your business inside and out, including your long and short-term goals and if needed will do more research before making recommendations. IT providers will also provide business class systems with business class warranties. Remember, you will want your computers to last at least 3-4 years of heavy usage, so it’s a good idea to buy only business-grade computers and components. 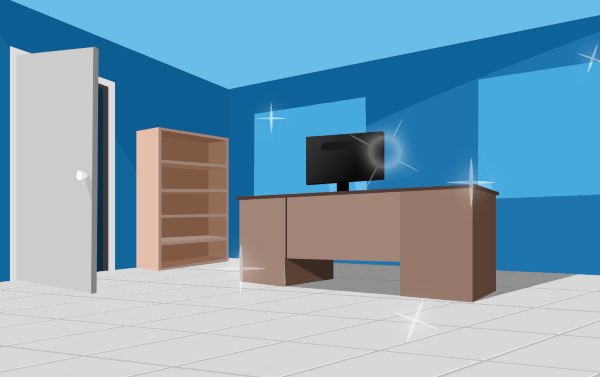 While the computers at the retail store are equally shiny, they are rarely as durable as the ones your consultant can supply. As well as selling you the new systems your IT provider will also be able to set the new computers up, ready to go with the exact software you need. They can strip out all the bloatware (unnecessary programs and trials that come pre-installed) and configure your new computers to your needs. Your employees will then be able to enjoy the new systems and take full advantage of the productivity boosts you paid for from day one. That means internet working, internal network connected, your programs playing nice with each other, printing without problems and all your settings data and email transferred from the old computer! If you are in South Australia we can help with your next purchase – ask us how by contacting us now on 08 8326 4364 or support@dpcomputing.com.au! It is fun and exciting getting a new device. Sellers like to say that it is ready to use straight from the box – and it is – except not quite the way you need it to work. Yes they all turn on, connect to wifi, and sure, you may be able to browse websites but what about emails, printers, your line of business software, security programs, software updates etc etc. Taking the time now to prepare your new device will save you time, stress, and quite possibly money. The device doesn’t usually come directly from the factory to your office, the device has been in the box for at least a month. In the world of technology a month is an eternity. During time on the shelf, new viruses have come out and new software weaknesses have been discovered. Fortunately, new updates to combat these problems have been released and need to be installed before you go browsing the Internet. We can make sure your device is up-to-date and set to auto update in the future. That way, you know your device is safe to go online. We can help transfer your data from your old machine to the new one. This way all your important documents and emails are there ready for you to continue working. Often email programs need special configurations and settings to connect properly. We find people can sometimes get stuck and not able to send emails or get access to all their old emails. We can get all your emails transferred & setup along with all your other line of business software. Do you need to print, scan or connect the device to another peripheral? These tasks that should be plug-and-play but as you know with computers nothing is ever as easy as it sounds! We can help get you set up, with everything tested and working. While tapping in a wifi password is easy enough but it doesn’t mean your browsing is secure or even as fast as it could possibly be. There are also other settings like mapped drives and connections to cloud based services that all need to be setup and tested. So if you have purchased a new device through us we will have done a number of these things before we deliver it and can help and assist with the other steps when onsite. 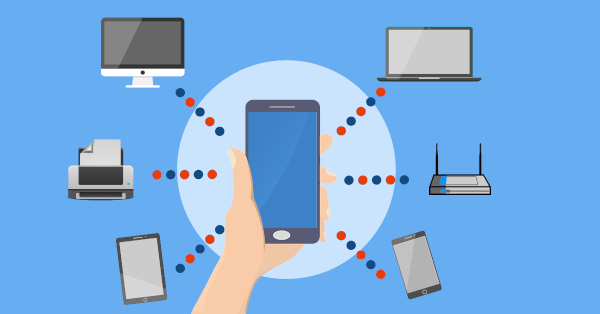 If you are purchasing a new device yourselves it will pay to at least speak with your IT professional to make sure everything is compatible with your network and setup. If you need more assistance we would love to help you out. Give us a call at 08 8326 4364 or email at support@dpcomputing.com.au. Older desktop and mobile devices run slow and may cost your business in repairs and downtime. They also lack the latest security technologies which may place your business and customers at risk. Check out the following for some reasons to upgrade your current computer. Devices powered by the latest 6th generation Intel Core processors deliver up to 2.5x faster performance compared to systems five years or older. Mobile devices also have 3x the battery life compared to 5 year old systems. A new device wakes in an instant and are up to date so users are never left waiting. New computers also run the latest MS Windows 10 and associated MS Office software suite all with no issues. Safeguard your business data with hardware enhanced security. Windows 10 introduces secure authentication with Windows Hello and Intel RealSense Technology. You also don’t need to sacrifice flexibility for memory, storage space, ports etc as most of these options are full configurable. Get the performance and security you need to move your business forward with a new PC. Contact us now to discuss your options.